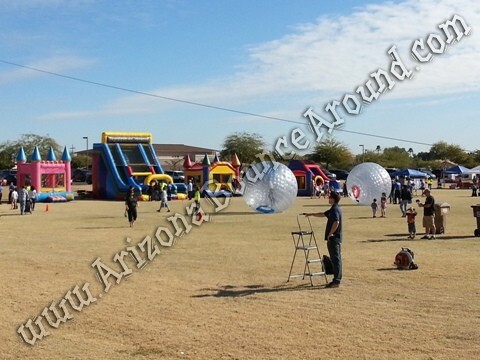 Rent Zorb balls for your next event big enough for kids or adults for only $199.50 each for 4 hours. 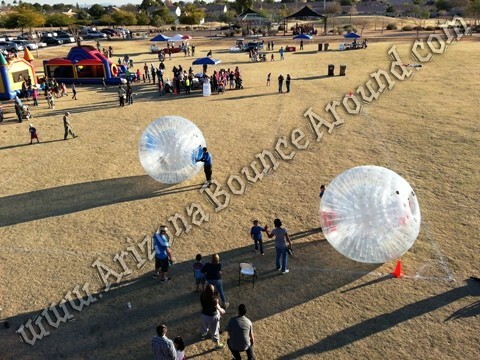 Add a Zorb Ball Race Track for even more control of the game perfect for high volume events. 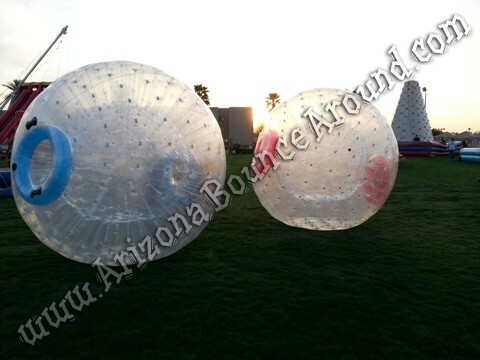 We have 2, 3, 4, 5 and 7 lane Zorb Ball tracks available ror rent. This giant inflatable human hamster ball has a double layer perfect for Zorbing or for use as human hamster balls. The outside diameter is 10 feet and the inside diameter has 7.5 feet of clearance. Much bigger than most other Zorb ball rentals in Colorado. 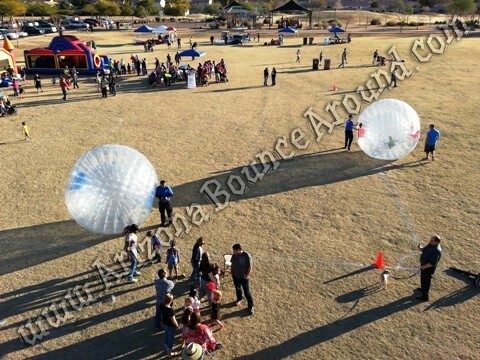 Rent these Zorb balls today in CO, CA, NV, NM, UT. Perfect for company parties, High School Parties and is the perfect teen party rental idea in Denver Colorado. 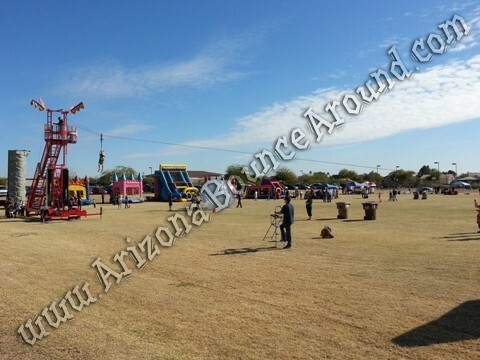 We also rent other simular items like Human Hamster Balls, Human Tumble wheels, Water Walking balls with a pool and spinning carnival rides like the Gyro Extreme and Ring of Fire Carnival ride rentals. Once these Zorb Balls are inflated they stay inflated and the riders can climb in and out of the holes on either side making them perfect for high volume events. These Zorb Balls must be used on grass in good condition , inside a gym or building. You cannot use these Zorbing Balls on dirt, sand, rocks, asphalt or concrete as the rough surface will damage the material. 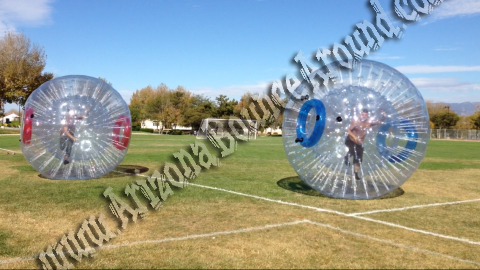 You can use the Zorb Balls on concrete, asphalt or grass in not so good condition by adding a Zorb Ball Track. We also rent giant inflatable race tracks to race giant adult trikes for a real versatile party rental idea all delivered right to your location. Staff is not included in the price but is available for hire. The zorb ball rental price includes standard set up. Standard setup is considered a real grass area or indoors. Be within 80 feet of sufficient electrical supply. Delivery and removal within included delivery area with no restrictions for delivery, set up or pickup. We do not install this inflatable obstacle course on dirt or sand but it can be setup on asphalt, concrete or artificial grass by adding sand bags to your order.